If you’re looking for the perfect gift this Valentine’s Day, give the gift no one returns. 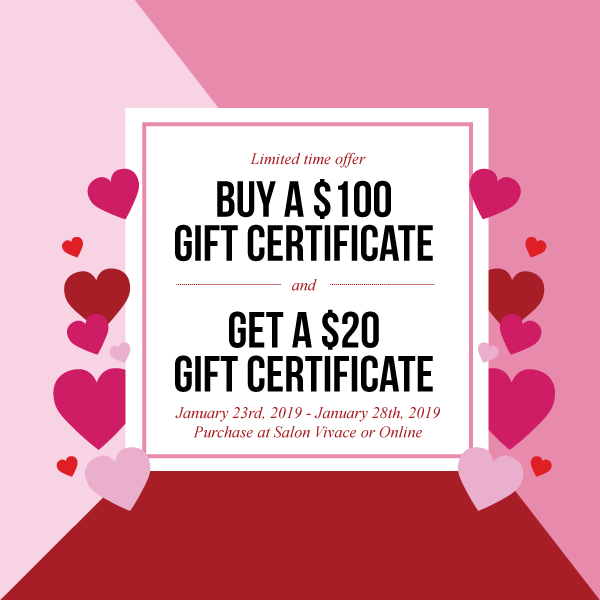 The Salon Vivace Gift Certificate. Valentine’s Day gift certificates can be used for any service or combination of services – there’s something for everyone. Available January 23rd to January 28th. Purchase online or in stores.